I am so happy Beyonce is speaking out about the benefits of adopting a plant-based diet. After watching countless documentaries (see below) over the years about food health and the toll that raising animals for mass consumption are taking on the environment, I have decided to adopt somewhat of a plant-based diet. It wasn’t easy, because I got super ambitious from the start and quickly realized that with my ever changing schedule, I wasn’t going to be able to maintain a full time plant based diet so I became a self proclaimed flexitarian. I decided to dedicate five days out of the week to MOSTLY plant-based meals and gave myself the option to eat meat two days out of the week. This is what works best for me. 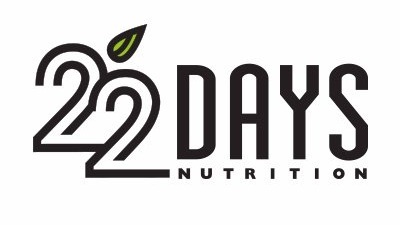 Alongside Nutritionist Marco Borges, Beyonce and Jay-Z have co-created 22 Days Nutrition - a plant-based meal delivery program. The new initiative features web-based digital tool “The Greenprint Project” that illustrates the positive environmental impact of choosing plant-based meals and engages users with an opportunity to win free lifetime tickets to Beyoncé and Jay-Z concerts. UM HELLO! The fact that Beyonce and Jay-Z plan on performing for the rest of our lives more than enough reason to dedicate at least one plant-based meal to your life. If you are interested in the documentaries I watched that brought me to this point, click here to check out the list.